Masizzim created quite a stir when it opened its first outlet at 313 Somerset in 2015 and again in 2017 when the second outlet at Westgate opened. 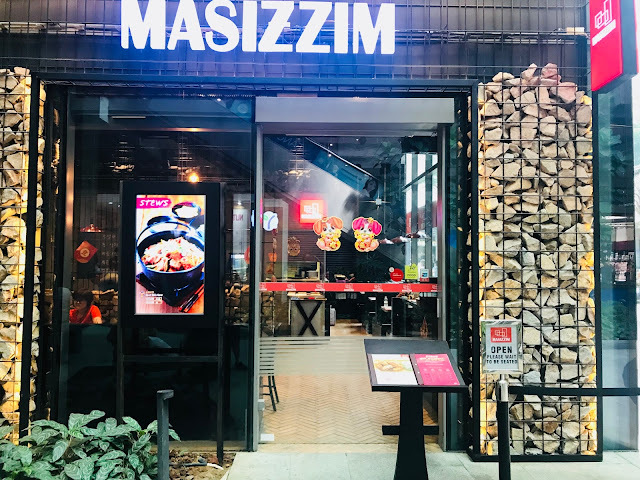 Masizzim is a Korean casual restaurant that is hugely popular in South Korea. 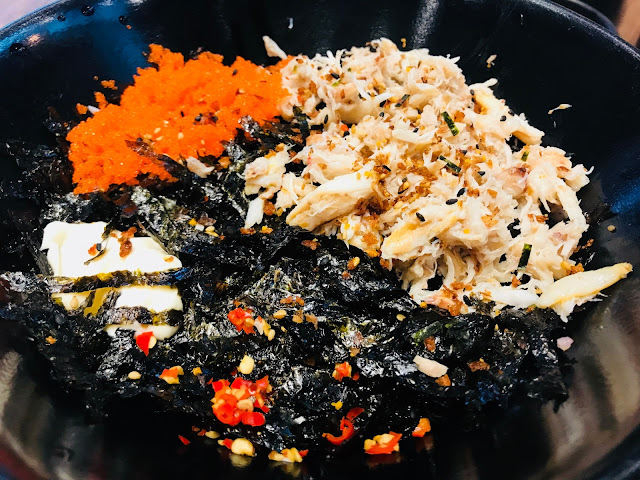 Brought in by K Food Holdings who also brought in Chir Chir, Masizzim is a combination of two Korean words: “masi” which means “delicious” and “zzim” which means “stew”. 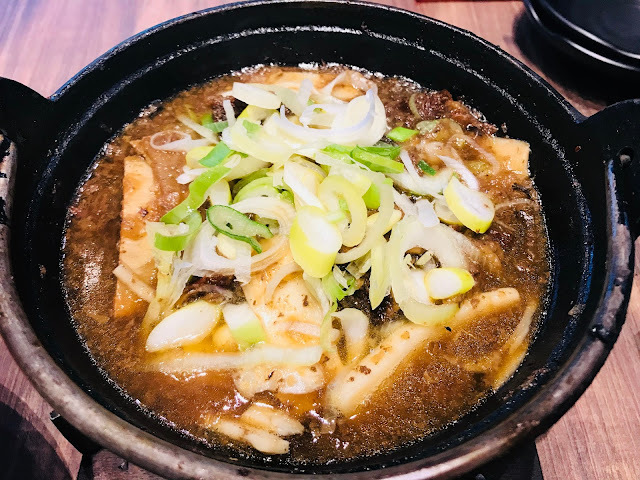 Masizzim is famous for their “galbi jjim”, beef and pork stew dishes. 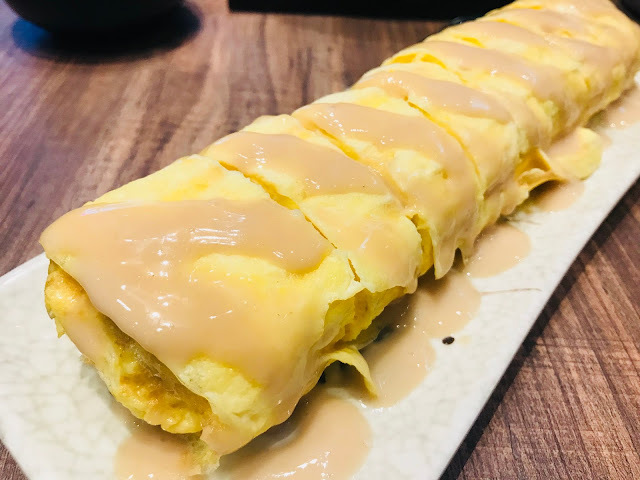 Tuna Seaweed Egg Roll [$10.80] and Honey Mustard Cheese Egg Roll [$9.80] are two of the newer side dishes that have become hugely popular. I thought the tuna and seaweed combination is pretty common so I decided to go with the Honey Mustard Cheese Egg Roll. 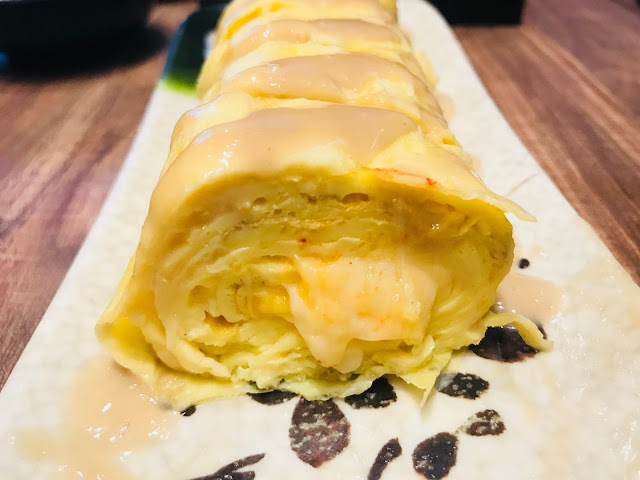 I like the rolled egg omelette which reminds me a little of Japanese tamagoyaki and the addition of oozy cheese makes it more luxurious. I personally feel that the honey mustard sauce is redundant although it lends a sweetness to the dish. This is their signature Beef Rib Stew [$18.80 for a single portion, $32.80 for double portion] that garnered rave reviews from many celebrity bloggers and I just had to try it for myself to see if it is worth all the hype. The beef is marinated overnight and cooked for 6 hours in special Masizzim recipe sauce before being served in a cast-iron pot. The beef ribs are fall-off-the-bone tender and the sweet-salty broth make it irresistible. Alternatively, these is Spicy Seafood Beef Stew [$38.80 for two persons], Spicy Seafood Stew [$36.80 for two persons], Spicy Chicken Stew [$16.80 for a single portion, $29.80 for double portion] and Pork Rib Stew [16.80 for a single portion, $29.80 for double portion]. 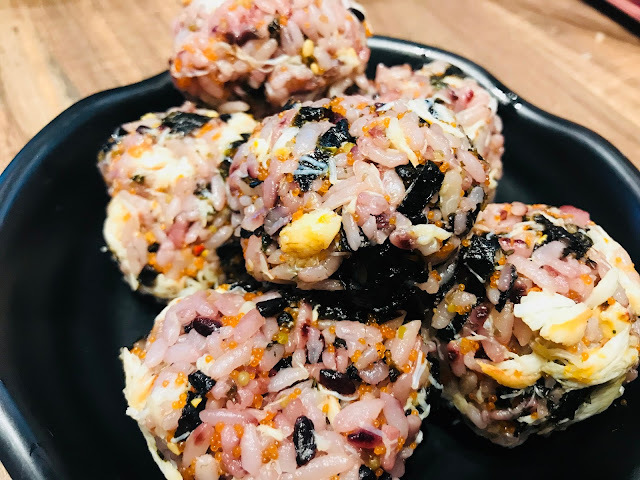 Masizzim lets you make your own Korean riceballs. You have a choice of Rice Ball (Crabmeat & Roe) [$10.80], Rice Ball (Tuna) [$9.80] or Rice Ball (Anchovy) [$9.80]. Don your gloves, mix the ingredients together and make those balls which tastes surprisingly tasty. Besides stews and rice balls, Masizzim also has a range of tasty Korean dishes such as pancakes, spicy beef and spicy pork.